Workers' compensation — We will help you get the benefits you are entitled to after being injured on the job. Social Security Disability — We handle every stage of the process, from the initial application through the final appeal. Personal injury — We pursue maximum compensation that reimburses you for your physical and emotional pain and suffering, your lost wages, and your medical expenses. 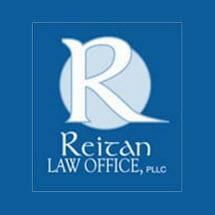 At Reitan Law Office, PLLC, we are a small, family-owned law firm located in Chaska, Minnesota. We know our reputation is only as good as the services we provide. That is why we commit our full energy and attention to every client that comes through our door. Your interests are our only interests. Our attorneys are committed to getting you the resources you need to treat your injury or disability while continuing to support your family. For help securing your Social Security or workers' compensation benefits, or for help with a personal injury claim, contact our lawyers today.